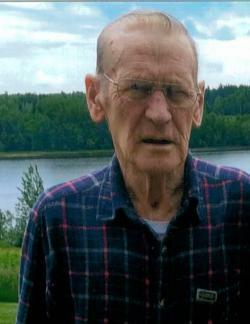 2019 Ronald Cormier, 84, of Bouctouche, passed away peacefully at the UHC Dr Georges-L. Dumont, Moncton on Wednesday January 16, 2019. Born in Bouctouche, he was the son of the late Onézime and the late Mélina (Duplessis) Cormier. He was predeceased by four sisters; Victorine, Dorca, Leona, Annette and four brothers; Alonzo, Aurèle, Emerie and Paul. At Ronald’s request, there will be no visitation at the Funeral Home. Funeral Mass will be celebrated at the Saint-Jean Baptiste Roman Catholic Church, Bouctouche on Wednesday January 23, 2019 at 4:00 pm with interment in the parish cemetery in the spring.